Limestone is a great sedimentary stone that is very strong and great for making products out of. The Marseille fireplace is pictured here in Mocca Cream Limestone. As the name may suggest it has French inspiration with a traditional fireplace feel due to its simple elegance and charm. Available for delivery in 1-3 weeks. 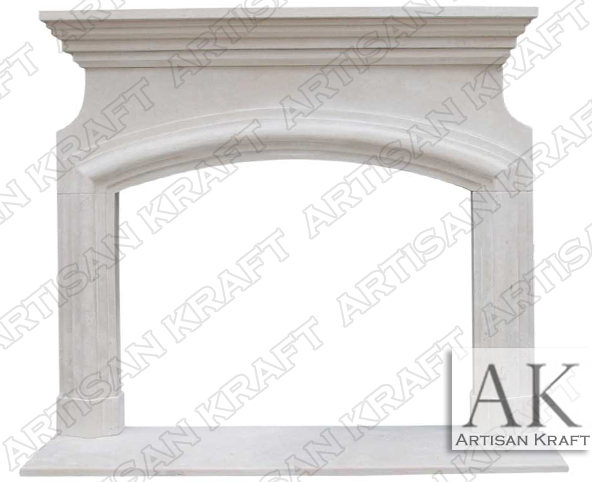 Find this limestone mantel on our sale page. Comes with a hearth and is on sale for a low price considering it is solid stone. France inspired style mantel.